This user guide explains how categories are imported with bank files. It also explains why sometimes categories are not imported with bank files. Some online banking services include categories in their exported QIF files, and others do not. It just depends on what the preferences are at that bank. If your bank file does include transaction categories, they will automatically be imported in PocketSmith. If you are curious to find out whether your bank includes categories in the QIF file, open your bank file with a plain text editor (e.g. Notepad on Windows, TextEdit on OS X, gedit on most Linux distributions). You should be able to spot categories easily if they are there. Here's an example of a QIF file, with and without categories so you can see the difference. Sub-categories that are nested under their parent categories can be imported with QIF files too! 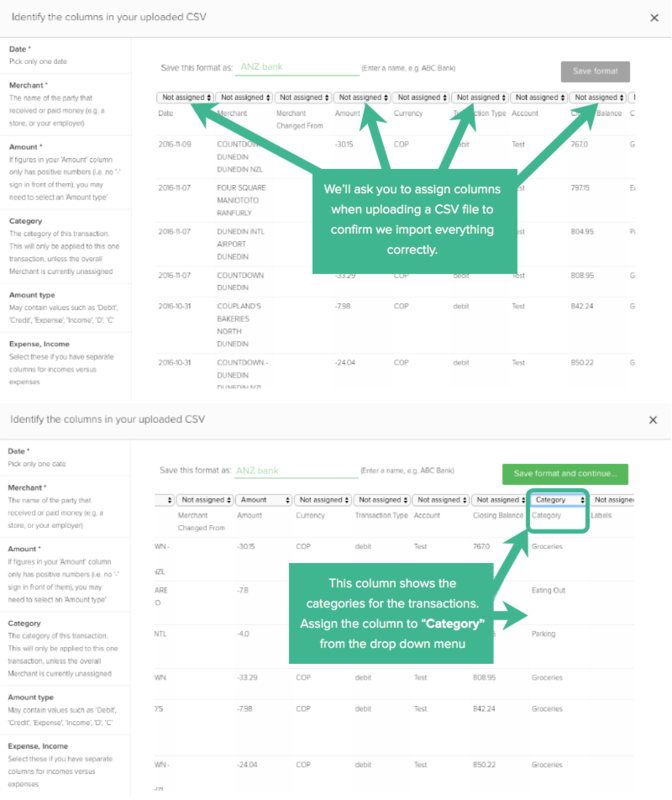 When importing a CSV file, PocketSmith will ask you to review all the columns of your file. If categories are present in your data, simply assign that column as Categories from the drop down menu. Doing this will ensure your categories are imported with your bank file. Easy peasy!